Welcome to the Dr. McCleery Lobo Wolves Digital Archive! 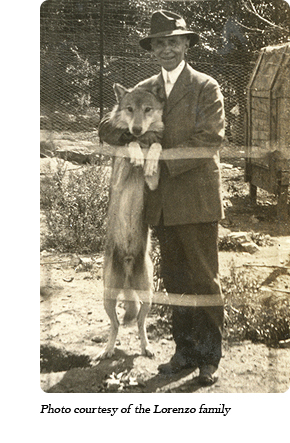 Dr. Edward Heber McCleery of Kane, Pennsylvania is known for saving the last of the western United States wolves - which he called "lobo wolves" - from extinction. In the early 1900s, the United States and Canadian governments hired expert hunters to exterminate wolves from the American wilderness to protect livestock. Dr. E. H. McCleery, a physician with a love of wildlife and a fascination with wolves, wrote to the U.S. Biological Survey and offered to pay for wolf pups to be shipped to him rather than killed. Between 1921 and 1930, he purchased more than 20 live wolves through the United States and Canadian governments, zoos, and dealers. Dr. McCleery's wolves came from the Rocky Mountains and Great Plains, and were scientifically named Canis lupus nubilus. Dr. McCleery called these wolves "lobo wolves" ("lobo" is Spanish for "wolf") or "buffalo wolves" (their natural prey was the American bison). In 1930, the U.S. Biological Survey informed Dr. McCleery that his wolves were the last of the western United States wolf. The rest had been successfully exterminated. Dr. McCleery built pens for his lobo wolves in his expansive backyard in Kane, Pennsylvania and bred them, intending to keep the subspecies bloodline pure. Many of his wolves were offspring of notorious "outlaw wolves" - especially intelligent animals which eluded hunters longer than any other members of their species - such as Old Snowdrift and Lady Snowdrift, the Custer Wolf, and Old Three Toes. The story of the small town physician who owned a tame pack of wolves spread quickly across the nation, often appearing in newsreels at theaters around the world, and his "wolf farm" became a popular tourist destination. 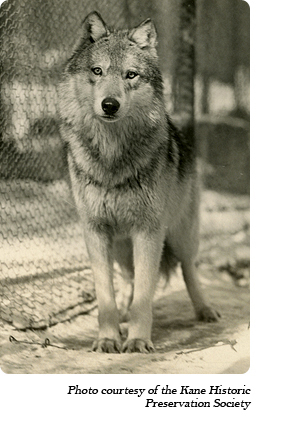 In 1929 Dr. McCleery moved his lobo wolves to a larger and more accessible location along Route 6 between Kane and Mt. Jewett where the pack - which fluctuated between 20 and 100 wolves at any given time - brought thousands of visitors to the area for several decades. In 1930 he also established a secondary wolf park between Gap and Coatesville, Pennsylvania, but the venture failed by the end of 1931 and Dr. McCleery focused solely on his Kane wolf park from then on. Dr. McCleery kept several subspecies of wolves including Mexican, arctic, and Alaskan timber wolves, and even the occasional wolf-dog hybrid, but the lobo wolves were always his main focus. Over the years, he also added other animals to his park including mountain lions, owls, coyotes, a lynx, and an eagle. In 1962, after many years of worrying about the lobo wolves' future, Dr. McCleery (at the age of 94) sold his wolf pack to Jack Lynch and his wife Marjorie Lynch. Three months later on May 23, 1962 Dr. McCleery passed away. 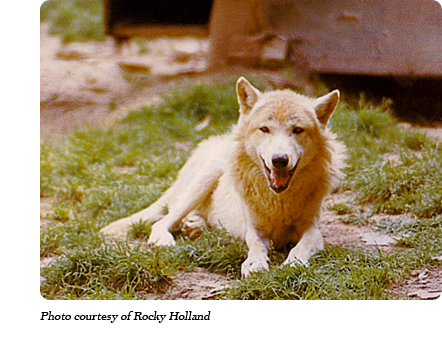 Jack and Marjorie Lynch carried on Dr. McCleery's work and in 1972 moved the wolves to Gardiner, Washington where they named the new park "Loboland USA" and later the "Pacific Wolf Preserve." In 1979, the Lynches closed the park to the public, preferring to focus on the wolves' care rather than exhibiting them. In 1980 Jack Lynch and his new partner Mary Wheeler moved the wolves to a private sanctuary in Emigrant, Montana, the lobo wolves' natural habitat. Jack passed away in July 2006. In 2008, Mary moved the wolves to a new location in Bridger, Montana. Mary passed away in March 2016. Her son and his wife, Ed and Terry Wheeler, took care of the wolves for two years before finding them permanent caretakers with Wolf Haven, the organization that currently maintains and cares for the wolves at their Bridger, Montana location. Read Dr. McCleery's 1929 book "The Lone Killer"